Hello everyone! I'm up on the Paper Issues blog today with the Roll the Dice challenge. I hope you enjoyed this new challenge last month and that you will join us again this time. 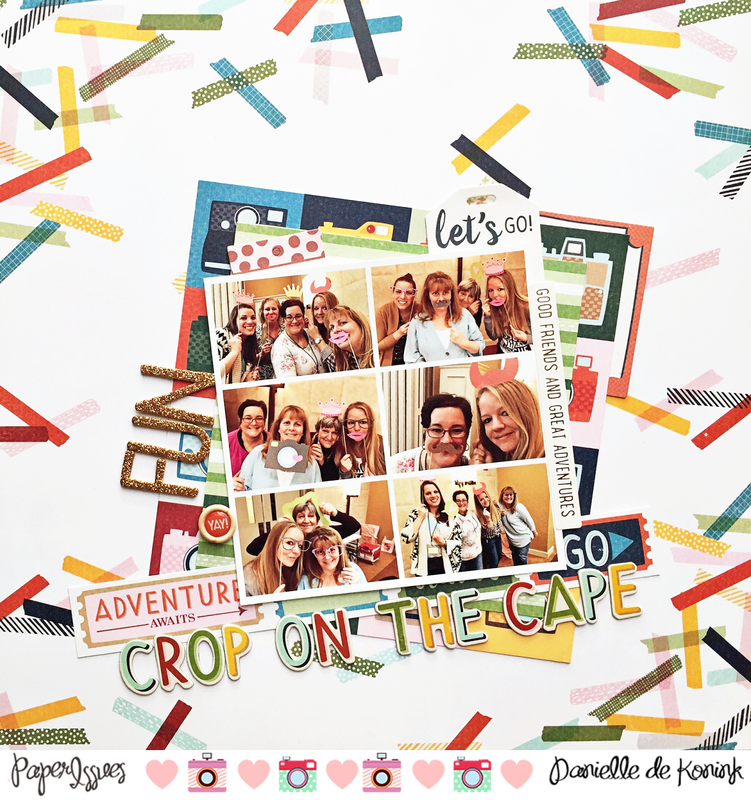 You can link up your projects for this challenge overhere in our challenge album. This month the dices are not making it easy, you can definitely call it a challenge. The first dice is for the amount of pictures, which is 6. The second dice is for the amount of stickers you can use, which is 3. This can be any kind of stickers: chipboard, cardstock, puffy, thickers etc. You can find a video of the rolling dices overhere. For my layout I used the Shimelle Go Now Go collection and as you can see you can perfectly use it for non traveling pics too. These pictures were taken last March when I was at the Crop on the Cape with some girls of the PI Design Team. 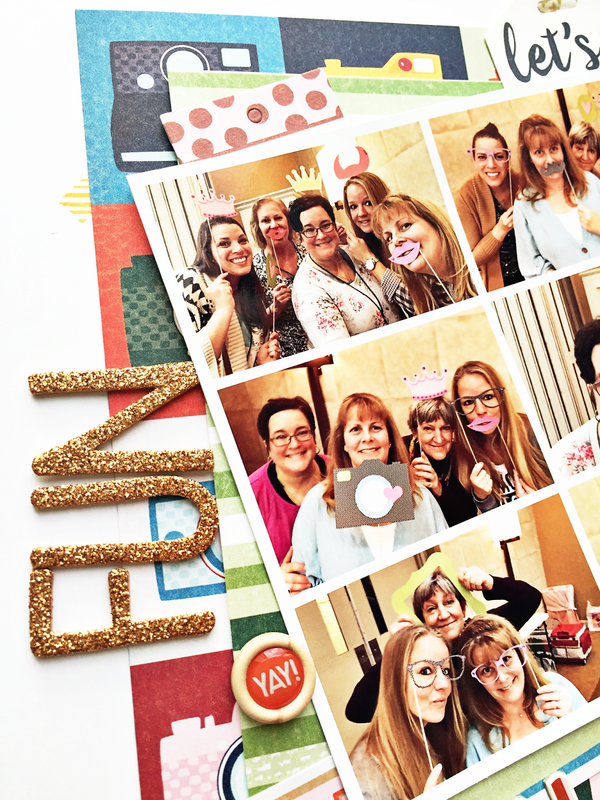 We had the best of time and took some fun pics using props. Thank you for stopping by today and have a great day! Hi, welcome to my blog! My name is Danielle, I'm a thirty-something girl living on Saba, Dutch Caribbean. 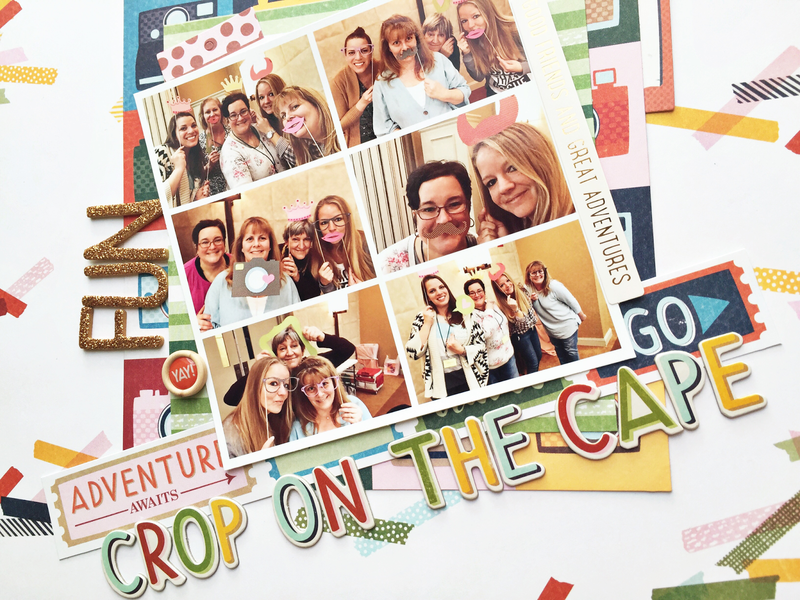 This blog is all about my crafting addiction: scrapbooking. 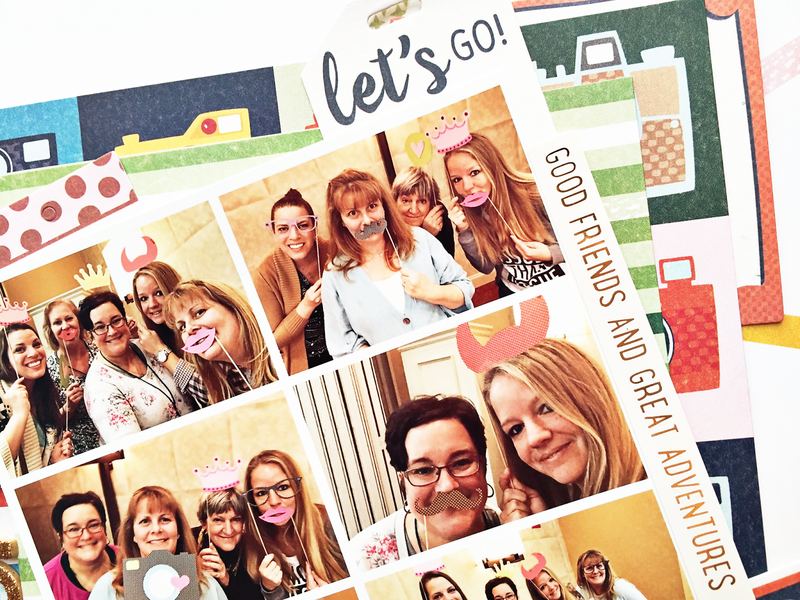 Silhouette America Blog | Do it yourself, do it your way! pics and cheesecake. Powered by Blogger.